The Energy Discovery Centre has three Tesla coils, which are used to demonstrate lightning to guests several times a day. This is a safe but exciting way to take a closer look at the appearance and behaviour of lightning bolts. The Tesla coil, invented by physicist Nikola Tesla (1856-1943), transforms low-frequency current into high-frequency current with a voltage of up to 500,000 volts. 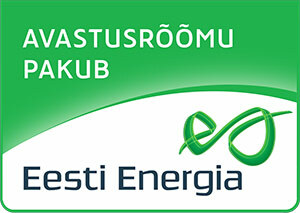 For comparison – the voltage of the big power lines you see outside is up to 350,000 volts! Bluish violet lightning channels appear around a Tesla coil when it is turned on. You can also hear a loud cracking noise and smell ozone, like you do after a thunderstorm. It’s important to remember that lightning cannot be tamed, but something can be done to prevent its devastating effects. Everyone probably knows that one should not wander in an open field or seek shelter under a tree during a thunderstorm. Buildings have lightning rods to protect them from lightning strikes. 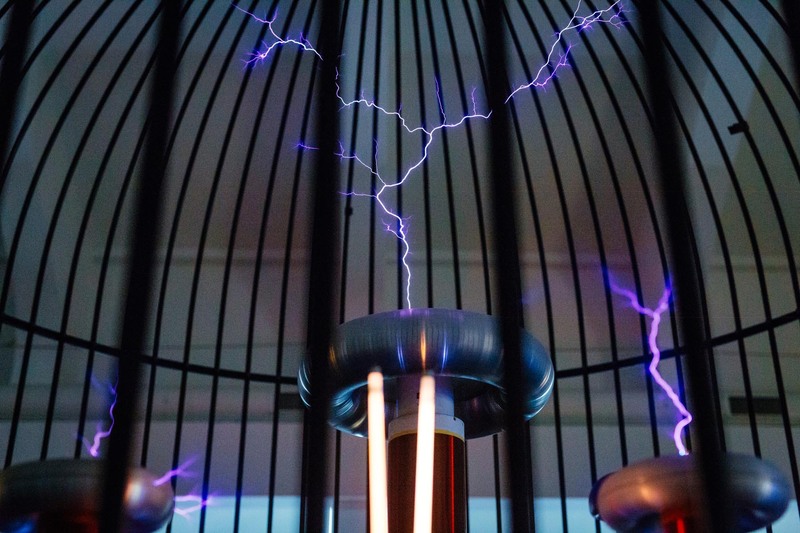 A giant metal cage has been built around the Tesla coils at the Discovery Centre, which has been named after another important physicist, Michael Faraday (1791-1867). Faraday discovered that a box (or a cage) made of materials that are good electrical conductors and closed on all sides protects against electrical current. 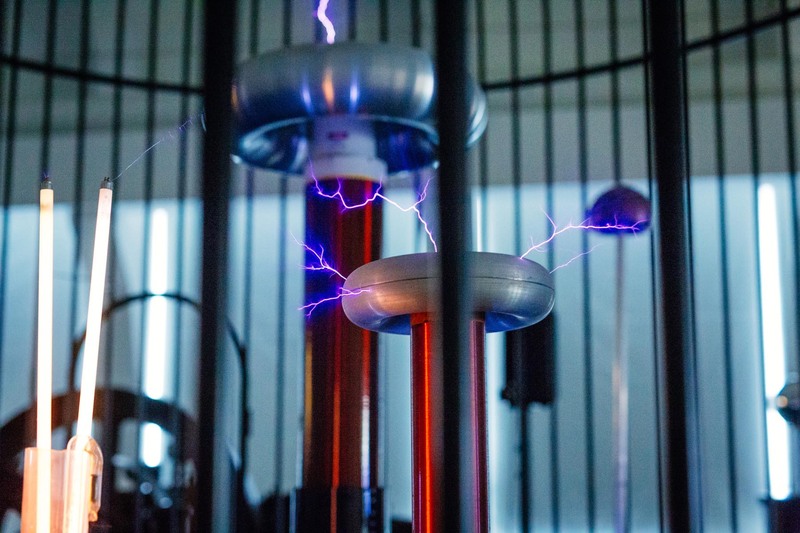 So, when the Tesla coils are turned on for a demonstration at the Discovery Centre and lighting bolts up to three metres in length appear, there is no way that the electrical current can get out of the cage. Seeing the performance of lightning up close is a truly exciting experience! Lightning demonstrations take place every day at 12 pm, 2 pm, 4 pm and 5.30 pm.